The GRK 1957 is managed by the Spokesperson Prof. Dr. rer. nat. Henrik Oster. He also represents the GRK 1957 at the University of Lübeck and to the outside community. 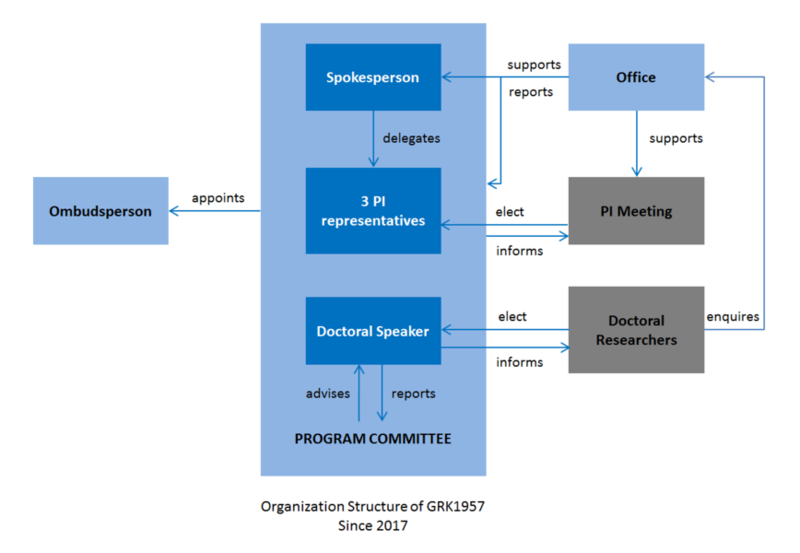 The PI Meeting elects three representatives who will assist the Spokesperson in the implementation of the qualification program and strategic development of the research profile of the GRK. The doctoral researchers elect a speaker as well as a deputy speaker who will represent their interests in the regular meetings with the Spokesperson and representatives of PIs. The Spokesperson, the three representatives of PIs and the doctoral researcher speaker form the Program Committee of the GRK 1957. Decisions of the Program Committee are made by simple majority. Every three years, all positions, except that of the Spokesperson, will stand again for election by all the GRK 1957 members. Besides, the Program Committee appoints an Ombudsperson specially for GRK1957 to handle cases of conflicts between the doctoral researcher and the supervisor.